It is official, the Christmas season has begun. Want to know how I know? 1) Christmas music on the radio. 2) Christmas has come to Starbucks. 3) Most importantly, my Operation Christmas Child box is packed and dropped off. 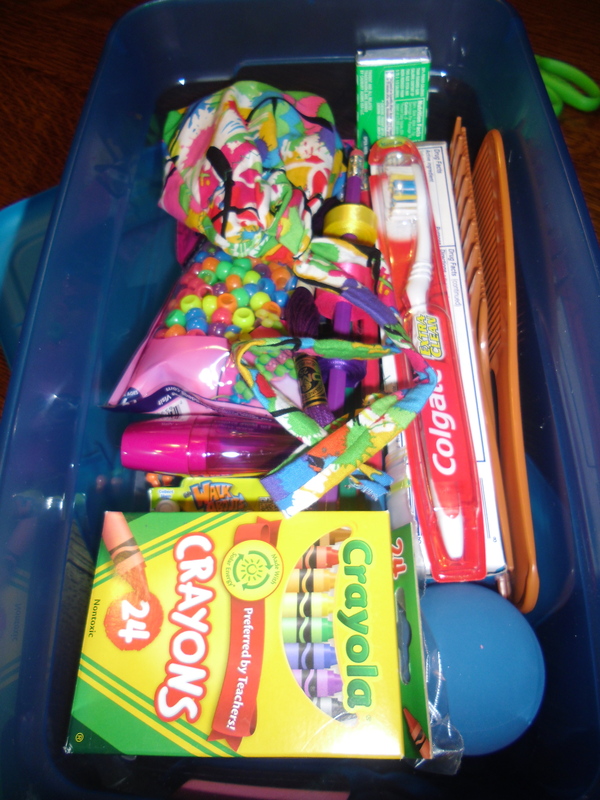 Operation Christmas Child is an awesome way to celebrate the holidays. 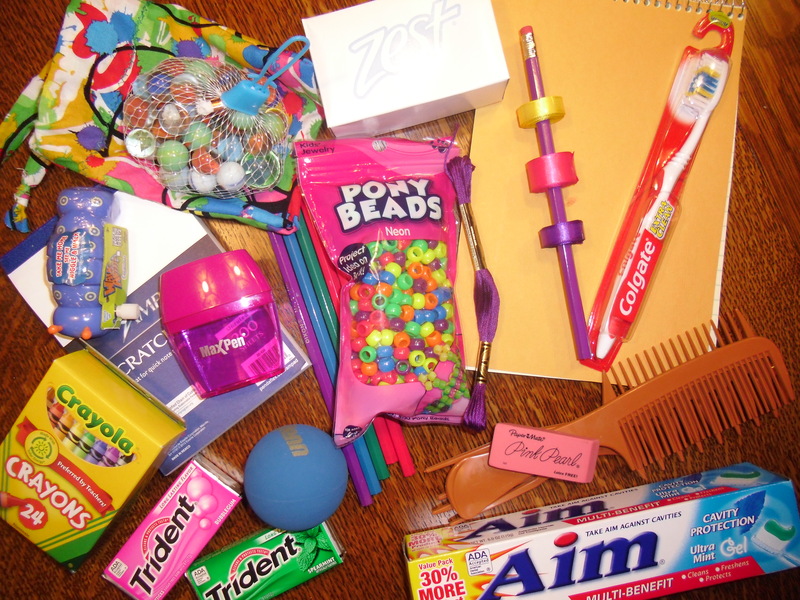 You fill a box with basic hygiene items, school supplies, and some other (more fun) things. You can specify your box for a boy or a girl and three different age groups. I chose a girl, age 5-9. I put in ribbons, beads, marbles, bouncy ball, and gum; besides the basics. You include $7 to help cover shipping costs. Then the box is sent to a child overseas who wouldn’t have anything otherwise. Last Sunday, I got to hear stories about handing out boxes. The kids asked why they were getting the boxes. The man handing them out got to tell them that some people just wanted to make sure they had something for Christmas and share how much God loves them. How great is that! I feel like that is exactly what Christmas is about. 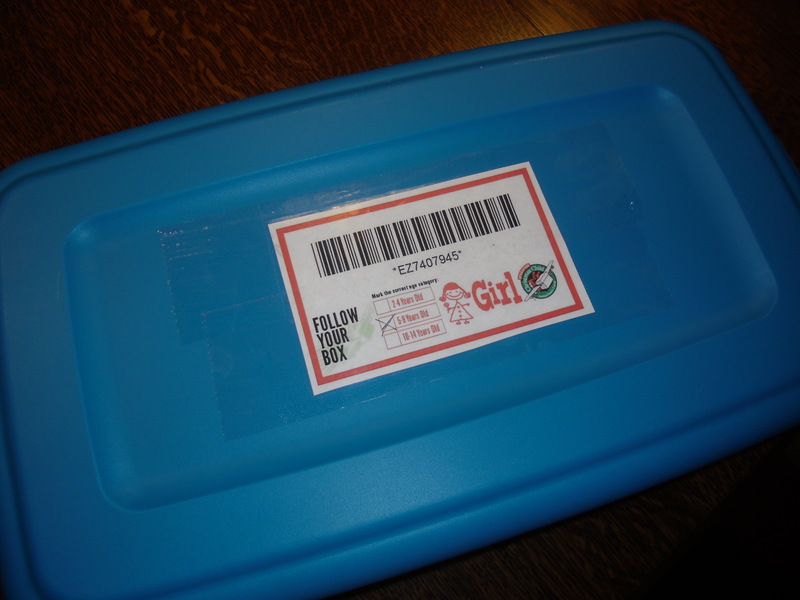 This year they have an extra fun thing…you can track your box. You pay the shipping money online and they give you a barcode to attach. I can’t wait to see where my box ends up! Now…there are 5 days left until boxes are due. Click here to find a drop-off location near you and get your box there by the 19th! Click here for more info on what and what not to pack into your box. And…I want to be the first to wish you a Happy Christmas! Now…go pack a box!